We could tell the story about how a few years ago, the BlennyWatcher was invited to participate in a Shark Week show pitch at Discovery Channel headquarters (which is worth a visit, if for no other reason than to see the cool kinetic sculpture in the lobby) and how hopes were deflated by an exec who said the treatment needed to be more “bitey”…but we won’t go there. In fact, the show pitch needed much work beyond its lack of biteyness and the BlennyWatcher, the least experienced member of the production team, was happy to just get to walk the halls and gawk at photos of Mike Rowe (yow!) and the MythBusters cast. 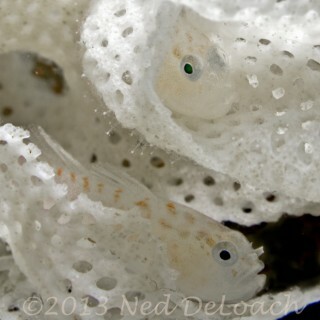 Although she doesn’t dwell on it, the “bitey” comment has helped her to realize her place in the world – with the little fish. 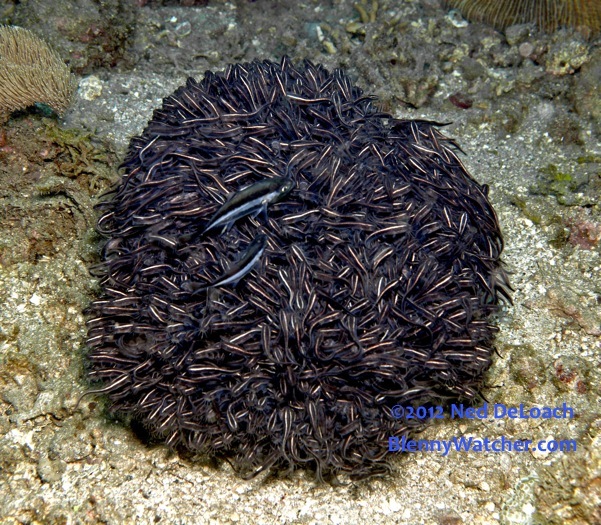 For those of you who asked, we’ve added a page here about Blenny Week and the back-story. Work on Season Two has already begun. 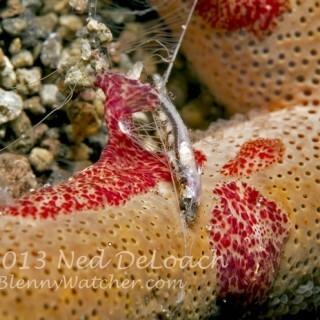 Production for Day of the Blenny Two and More Secrets of the Blenny will be underway the first two weeks of June 2012 at Eco Divers Resort Lembeh during the Annual Fish and Critter Hunt – everyone is welcome to join us. 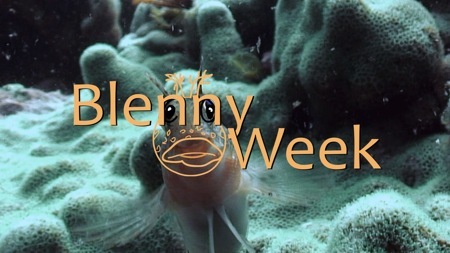 So tell us, what would you like to see on Blenny Week? 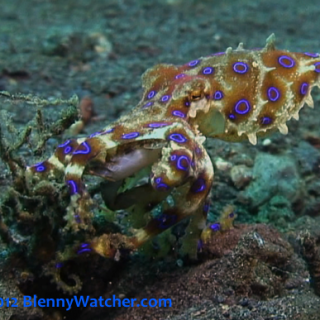 « Greetings from the BlennyWatcher!